The annual Dine Iowa Grand Tasting Gala is coming up quickly. TOMORROW (Thursday, October 5) to be exact. From 6pm until 8pm, the Atrium at Capital Square will be full of wonderful smells from chefs preparing their small plates for the guest to enjoy. Leading up to this, I had the opportunity to visit all of the restaurants in the competition at their respective locations. This is actually my third year as a judge along side Chef Robert Anderson, and during these years I’ve traveled to and from each side of the state — from Council Bluffs to Dubuque and in-between. Also, every year, the Iowa Beef Council, and the Soy Foods Council sponsor the event which means the meals must feature soy and a cut of beef. This year, the cut of beef is a flank steak. Most would think of creating tacos, or an asian dish with it, but as always, we were blown away with some of the creations. Here are the plates you can expect to see, taste, and judge yourself at the 2017 Dine Iowa Grand Tasting Gala. 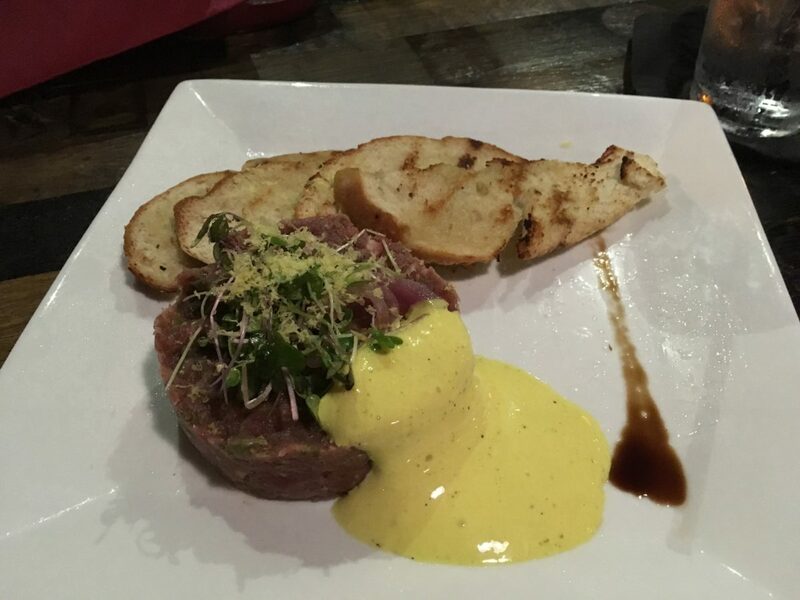 Prepared by Chef Tim Oathout, at Zeppelins in Cedar Rapids. 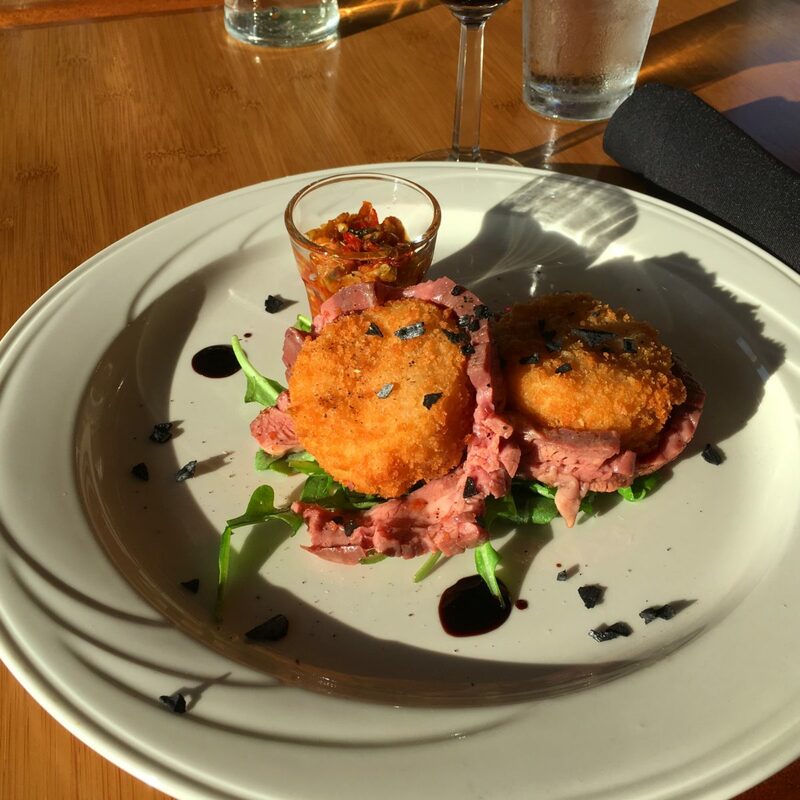 Prepared by Chef Jason Culbertson at Hotel Julien. Specifically in their Caroline’s Restaurant. The dish features aerated tofu, soy mushrooms, and miso ginger butternut squash with ginger sake sauce. 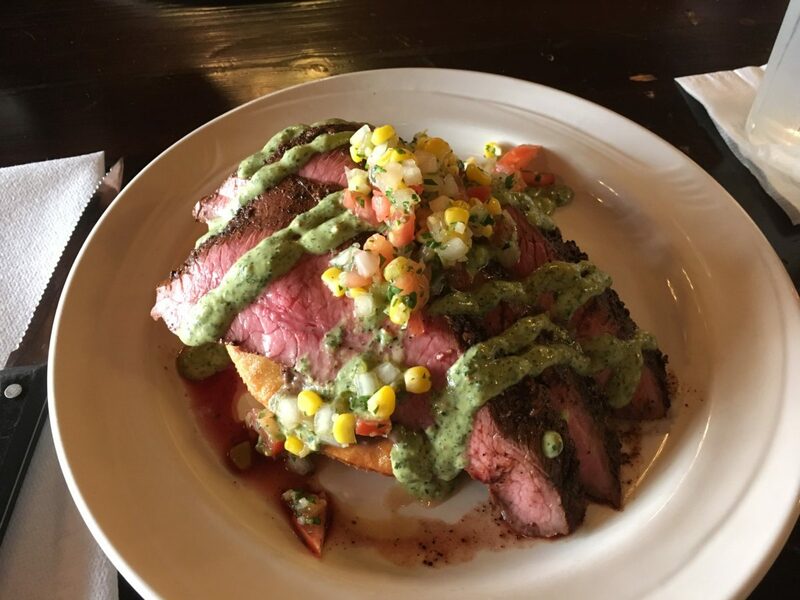 Chef Nick Gunn of McCarthy & Bailey’s Irish Pub in Sioux City prepared a delicious smoked flank steak, along with a blacksmith marinade, cocoa and coffee rub, tofu chimichurri, a pablano and corn salsa, and fry bread. It is going to be a hit on Thursday. This plate is prepared by Chef Wallace Franklin Jr. (if any of you are Iowa State Cyclone fans, be sure to ask him about football). Along with the tartare, Chef Wallace added smoked tofu foam, cured egg yokes, and toast points. This was a fun twist on something a bit classic. 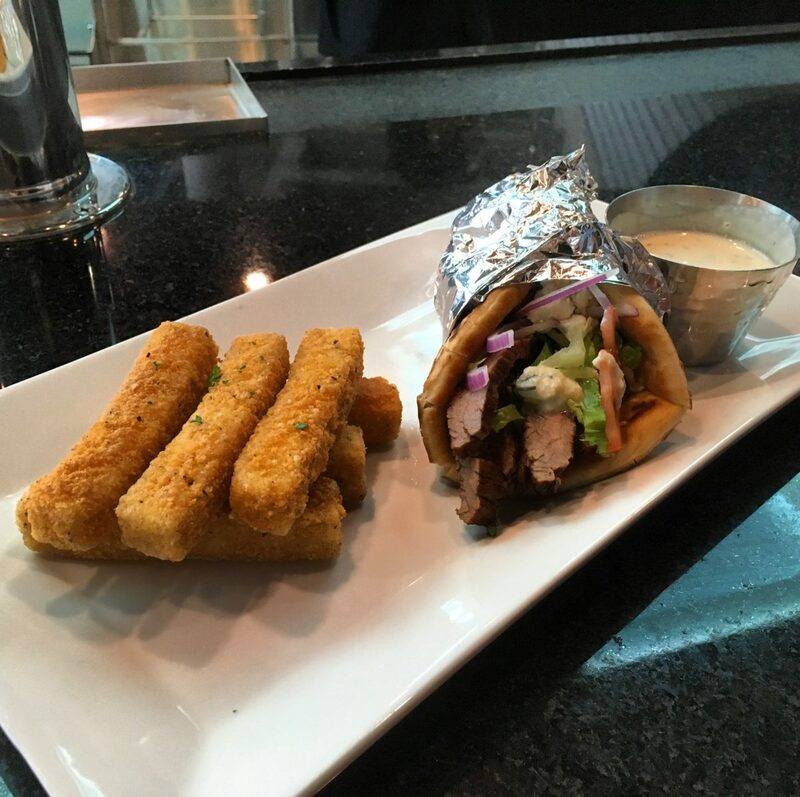 Instead of lamb, flank steak was used in the gyro, and for the fries, Chef Vander Ploeg, of the Iowa Events Center, whipped up some really good tasting tofu fries. The tzatziki sauce also had a tofu base. 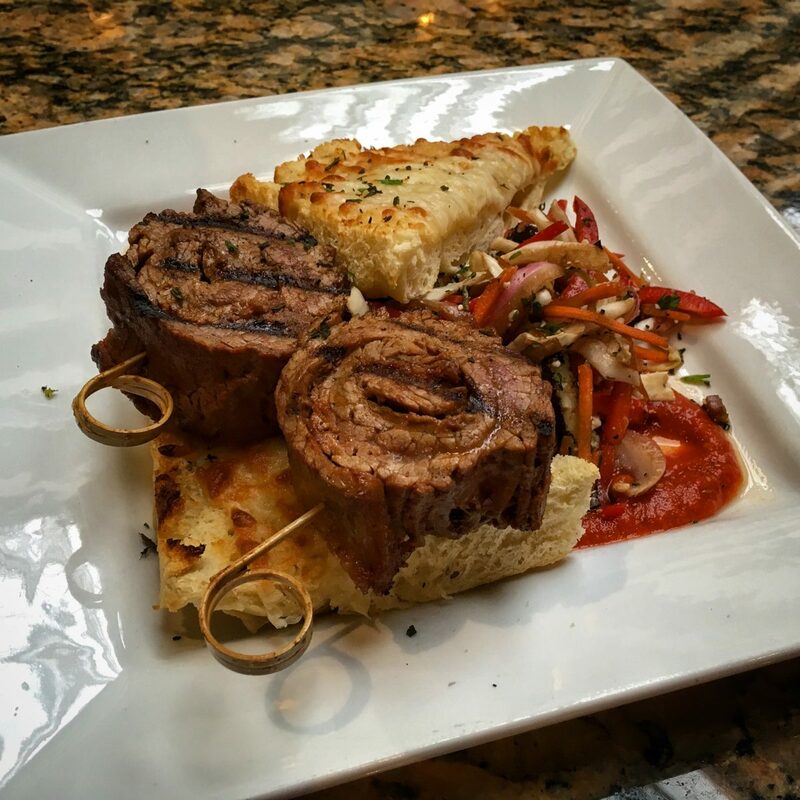 Chef Robert Myer from Liberty’s at the Embassy Suites in Des Moines, Iowa, created a delicious tomato fennel London broil along with a tofu slaw. 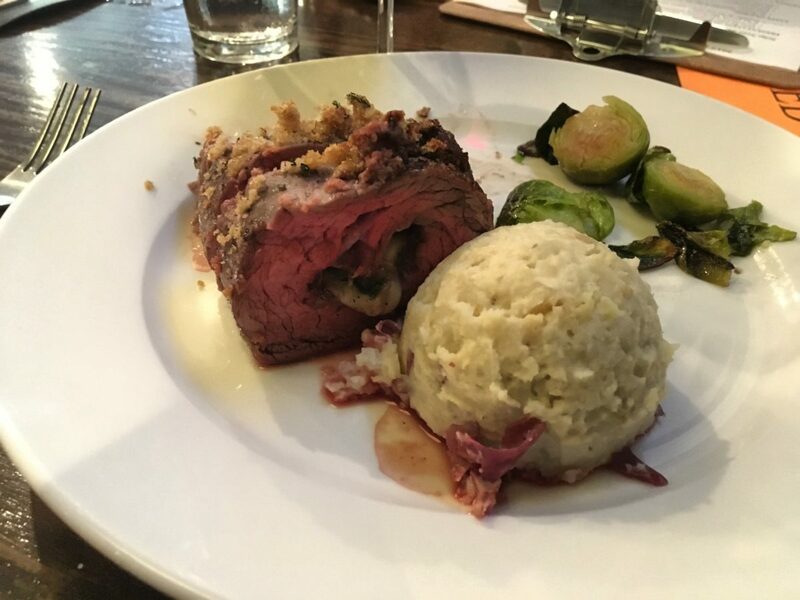 Chef Pam, from On The Green, in Oskaloosa, created a delicious horseradish crusted flank steak roulade and served it with tofu mashed potatoes and a beef ju. 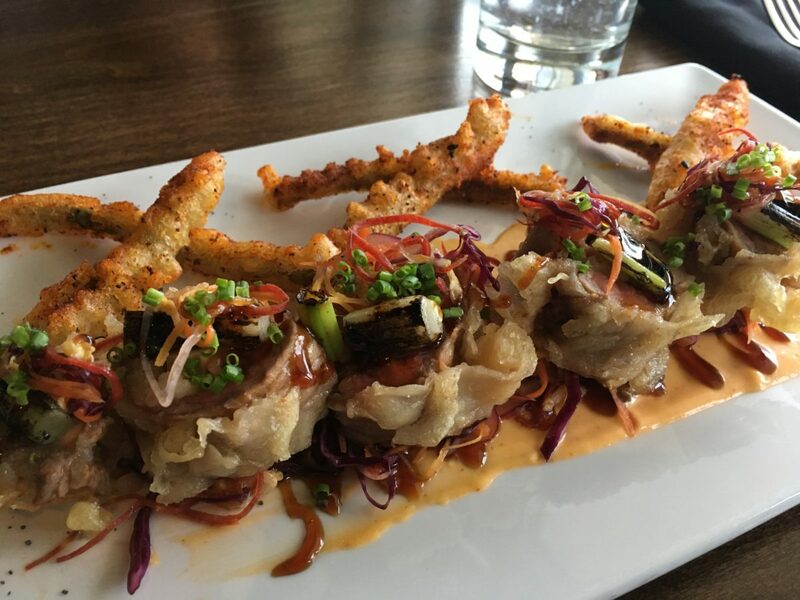 Tempura beef roll served over a rainbow slaw with fermented chili tofu mayo and unagi sauce with tempura pickled green beans. I have a feeling that this will be a People’s Choice award. 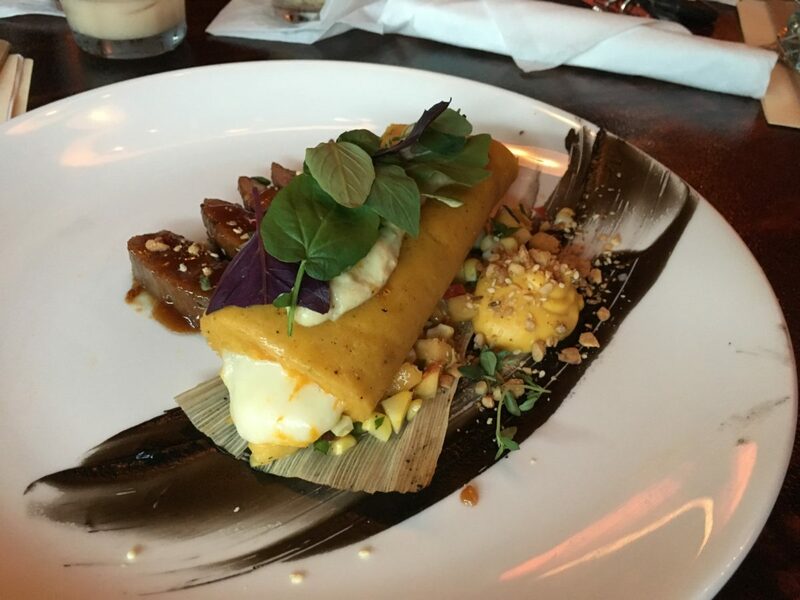 Chef Oscar Hernandez at 712 Drink + Dine, in Council Bluffs, was very creative with this dish. Chef Diego Critelli at Trelli’s Cafe in Des Moines has been competing for the past several years. 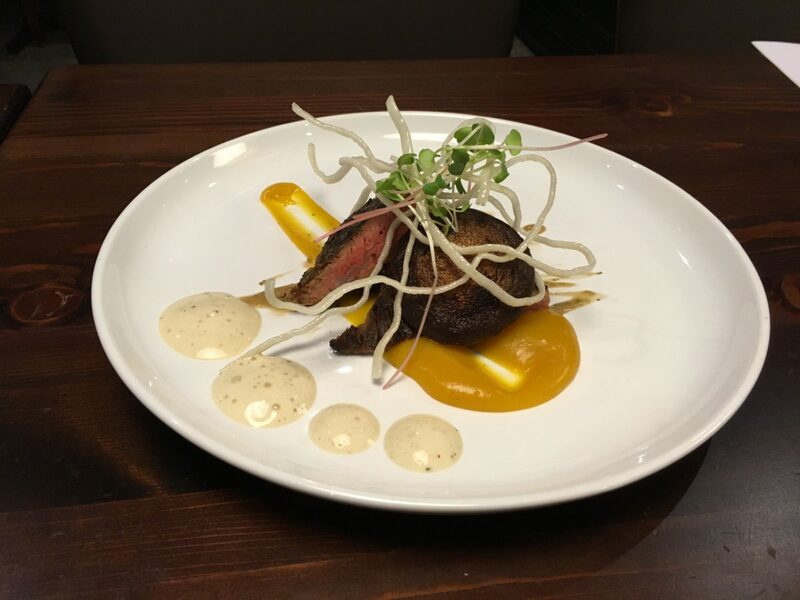 This dish was a creative presentation of flank steak and was full of flavor and a delicious combination of unique spices to give it an Italian flare. I can’t wait to try all of these amazing dishes tonight! Great recap of the judging stops!